Two summers ago i decided to roll out my first summer project for my home, which was a TP-Link TL-WR740N running OpenWRT with some small addons, such as dinamic DNS and wake-on-lan. This summer i decided that i should extend and improve my network a bit. I got an Asus-RT N16 – it maybe relatively old but it is very good, especially when equipped with OpenWRT. To make the installation process go as fast as possible i used this technology template and this image which was just several months old. The image was compiled along with all the packages i needed, including Luci (the web interface), Wake-on-lan, Dynamic-DNS, ppp packages (to establish a PPPoE connection) and also IPv6 support (both for LAN and WAN). Props for the author. After a losing some files, I realised how important is data storage, even for a home/regular user. I first tried using an external HDD, which is still handy, but i also needed a way to access my files remotely, or enable others to download from it. The best solution for this case was a NAS (network attached storage). 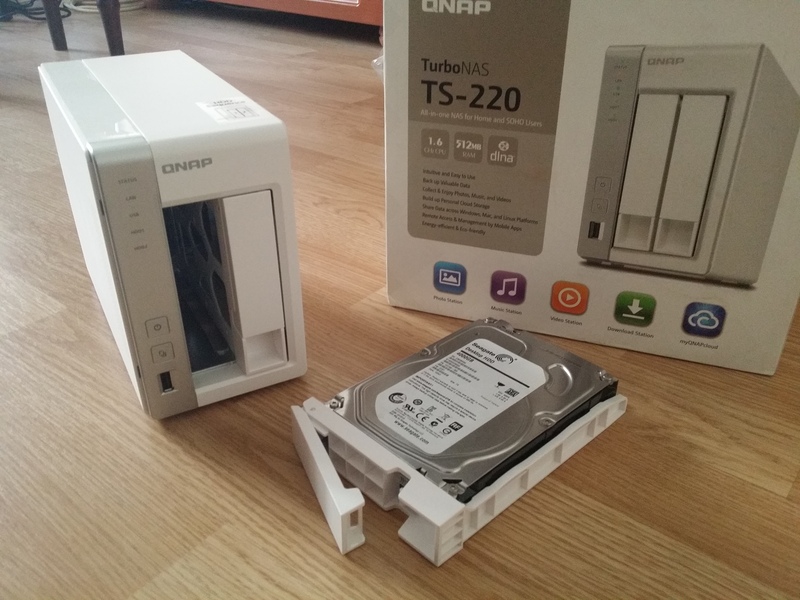 I decided to go for QNAP, since they are leading NAS providers, with the model TS-220. I got it from here for ~240 euros (1075 RON). Since it comes without a HDD i decided to go get the maximum possible (a 4TB model) for about 142 euros (640 RON). The NAS comes with several screws so that the HDDs can be attached, an ethernet cabe and a power supply. The installation process was pretty straight-forward as you have the posibility of installing it either through their cloud services using a cloud key which can be found on the NAS, or using their QFinder utility. When it is turned on for the NAS will make a long beep, followed by another in several minutes. After this, you can use the QFinder utility to install the latest firmware. 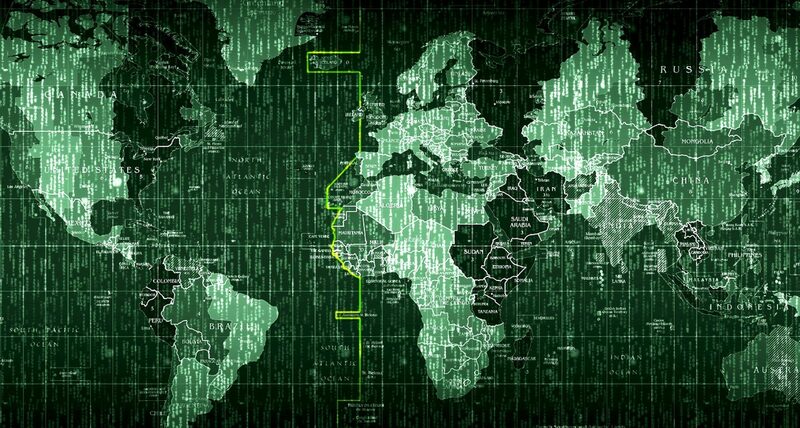 QNAP provides their dynamic-DNS service so that users can access the router anywhere in the world. The only “semi-drawback” of their service and software is that is meant to be setup with UPnP routers ONLY. 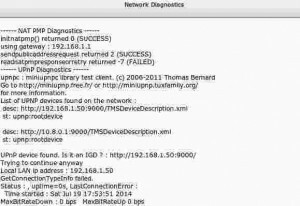 Of course, from a usability point-of-view this is perfect for the regular user but from a security point-of-view, we know that UPnP is to be avoided at all costs. As we can see above i was refered to something related to “miniupnp”. This will also install the luci-app-upnp package which will show the settings in the web interface. It can be found under the “Services” tab. Be sure to tick the “Enable UPNP and NAT-PMP” checkbox. The cool thing about it is that it offers the posibility of directing the local ports to whatever external ports you like and you can also create rules where you can allow/disallow certain IP addresses / ports from being forwarded. The firmware is linux based and looks very good. Like everything nowadays, it has its utilities in the form of “apps”. I As mentioned earlier it looks like it’s designed to be very easy for the regular user. For the more advanced, the SSH connectivity is available, but unfortunately, just for the admin user. Again, another drawback from a security point-of-view. The support is pretty ok, as the official forum is populated and up-to-date. Another thing to mention is its media library function which, when turned on, automatically scans the media associated directories (Multimedia) and generates thumbnails for pictures and videos – in case of many pictures it can really take a while to index all your multimedia files and the CPU consumption can be at over 90% for a while. All in all, the QNAP NAS and its features is worth its money. You really need some time if you want to “play” with all its functions but it can be the right solution for your own multimedia platform, surveillance station and file station.